MINNEAPOLIS, MN--(Marketwired - August 15, 2017) - Agosto Inc., a cloud services and development company and tier 1 Google Cloud Premier Partner, announced that CRN®, a brand of The Channel Company, has named Agosto Inc. to its 2017 Fast Growth 150 list. The list is CRN's annual ranking of North America-based technology integrators, solution providers and IT consultants with gross sales of at least $1 million that have experienced significant economic growth over the past two years. The 2017 list is based on gains in gross revenue between 2014 and 2016, and the companies recognized represent a total, combined revenue of more than $16,717,688,643. "Agosto's growth is the result of a winning track record with its customers. They trust us to elevate their businesses by building innovative solutions on Google Cloud Platform, as well as by migrating their IT infrastructures to Google," stated President Aric Bandy. "We're grateful to be recognized by CRN for these achievements." 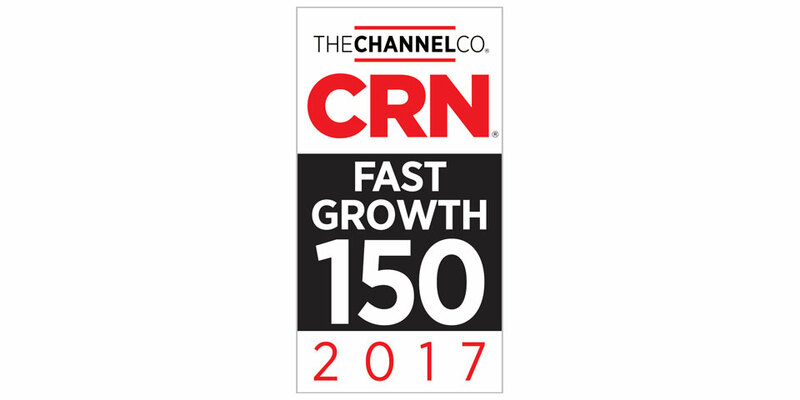 "The companies on CRN's 2017 Fast Growth 150 list are thriving in what is now a very tumultuous, demanding IT channel climate," said Robert Faletra, CEO of The Channel Company. "This remarkable group of solution providers has successfully adapted to a landmark industry shift away from the traditional VAR business model to a more services-driven approach, outpacing competitors and emerging as true channel leaders. We congratulate each of the Fast Growth 150 honorees and look forward to their continued success." The Channel Company enables breakthrough IT channel performance with our dominant media, engaging events, expert consulting and education, and innovative marketing services and platforms. As the channel catalyst, we connect and empower technology suppliers, solution providers and end users. Backed by more than 30 years of unequaled channel experience, we draw from our deep knowledge to envision innovative new solutions for ever-evolving challenges in the technology marketplace. Follow The Channel Company: Twitter, LinkedIn and Facebook. Founded in 2001, Agosto is a cloud services company that helps organizations leverage Google Cloud products in the private and public sectors, providing technical solutions, change management, custom development, migration and deployment from legacy systems, and product development. Agosto is one of the largest Cloud Platform partners globally, and was named Google Partner of the Year for Cloud in 2013 and 2016. The company has been included in the Inc. 500 | 5000 four times. Headquartered in Minneapolis, Minn., and with offices in Toronto, Ontario, Agosto's clients include 1-800-Got-Junk?, the State of Wyoming, Unilog, Groupon, Jaguar Land Rover, and the Library of Congress, among others. For more information visit www.agosto.com. Follow Agosto: Twitter | Blog | LinkedIn. About this company Agosto Inc. Through custom cloud product development, Agosto helps organizations bring products to market more quickly, with a focus on the Internet of Things (IoT).